The Wallace Collection is a national museum in a Grade II Listed historic town house in the capital with over 25 rooms and galleries. The Conservation Department carries out specialist repair and conservation on prestigious works of art. As part of an overall upgrade to the security of this dedicated area, a high security solution was required, which could use the existing security systems in place, inclusive of card credentials to control access to the different workshops. 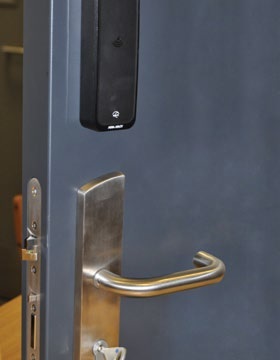 Aperio smart L100 escutcheon was fitted to the entrance door to the conservation department, as it looks like any other door handle and hence did not conflict with the aesthetics of the Listed Building. Aperio cylinders were fitted to all the workshops within the department and seamlessly integrated into the existing security systems, minimising installation costs and solving key management issues, without compromising on quality.